New Delhi, November 12, 2010. Center for Science and Environment had organized a round-table on November 12 regarding Minor Forest Produce under the community rights of Forest Rights Act. The motive of calling this meeting was to gauge the state of the implementation of Forest Rights Act, 2006, specifically its subset, Minor Forest Produce . The meeting constituted of spokespersons from the ministry of home affairs, ministry of panchayati raj, ministry of environment and forest, activists, environmentalists, journalists and legal analysts. 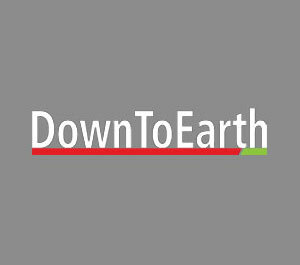 A cover story done by the journalists from ‘Down to Earth’ on Minor Forest Produce was put up as a case study to make the scenario more clear. The story covers the condition of five states of India namely Jharkhand, Chattisgarh, Madhya Pradesh, Odhisha and Andhra Pradesh. The grass root level activists came up with the point that the needy ones are not being benefited by it. The discussions were followed by facts and figures put up by both government and non-governmental sides. Questions were raised over the provisions of FRA and legal activists wanted the community rights to be an individual’s rights. The debate on “Is bamboo a grass or a timber?” engaged the group along with issues like the transit passes, the right to disposal of the MFP, interference of Environment Protection Act with Forest Rights Act. One major drawback which came out of the discussion was ignorance towards the law. Whether officials at the lower level or people to be benefited by it, they were not aware of the power which they have because of the provisions mentioned in the act. Roundtable: Is Bamboo a Minor Forest Produce? Is bamboo a tree or a grass?